You all know who Gucci Mane is. I don’t need to sell you on a show at Avant Gardner with one of trap’s biggest pioneers and the godfather of Atlanta’s rap scene. The Alabama-born luminary really needs no introduction. But seriously, if you want to get to know his body of work, check out some of his 12 albums or over 70 mixtapes. 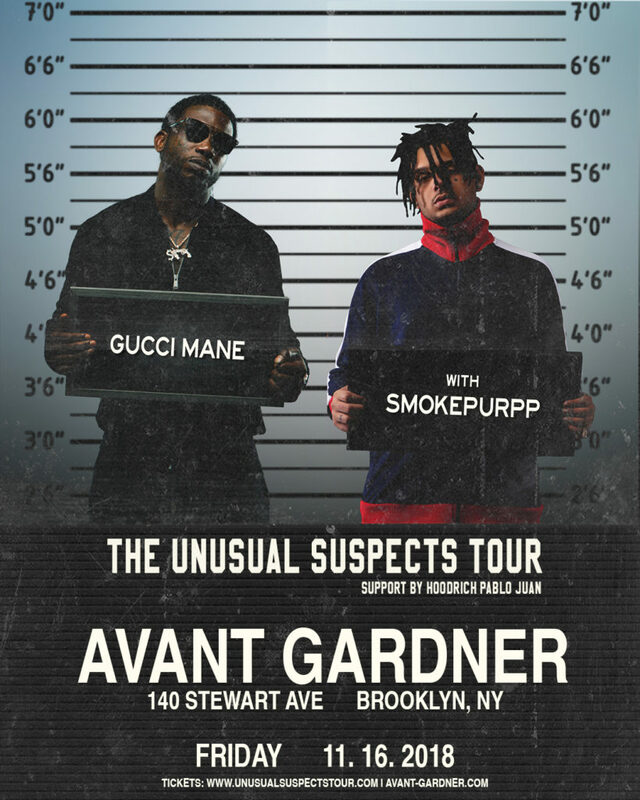 Or listen to any artist on the label that he founded, 1017 Records, which promotes the careers of other up-and-coming hip-hop artists, whose lineup includes Chief Keef and one of the other artists performing with him at Avant Gardner, Hoodrich Pablo Juan. 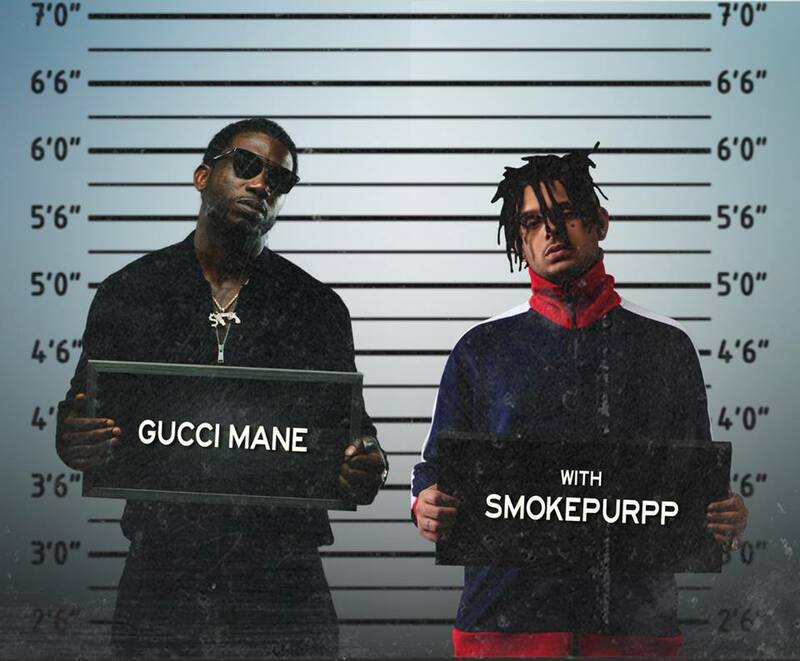 The other artist appearing is Smokepurpp. The 21-year-old Miami native is one of the most well-known and successful of the “SoundCloud rappers.” His meteoric rise has come only in the past few years from a quickly deleted upload onto SoundCloud to being one of the most streamed and in-demand artists in the country. Catch them at Avant Gardner on November 16th. Tickets are sure to go quickly.